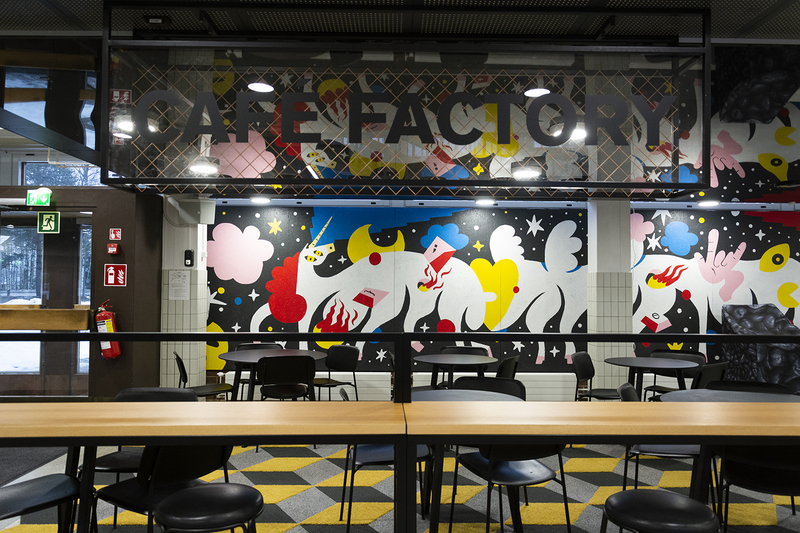 A Grid is a startup community part of the Aalto University campus and one of Europe’s largest growth centres. 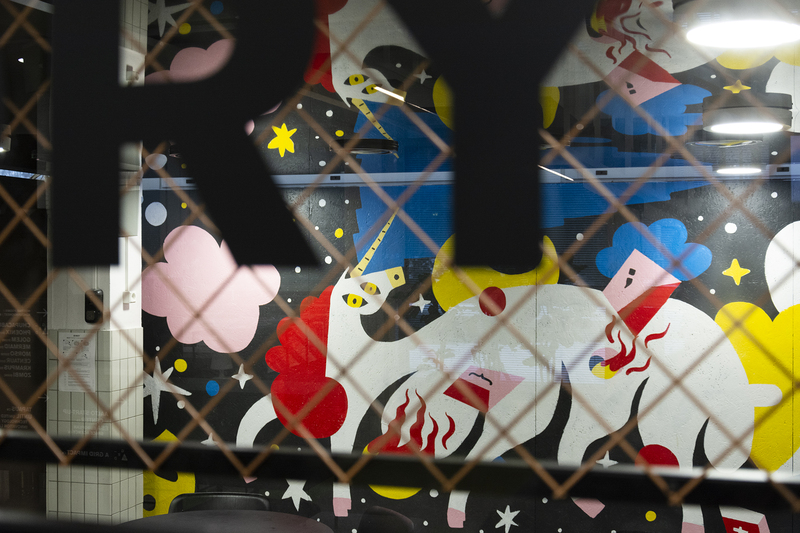 It houses vibrant research and innovation community, accelerators and established companies. 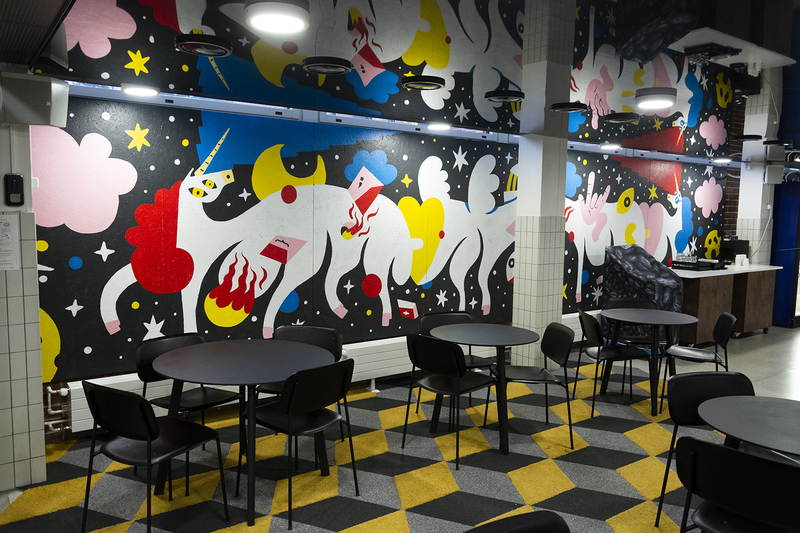 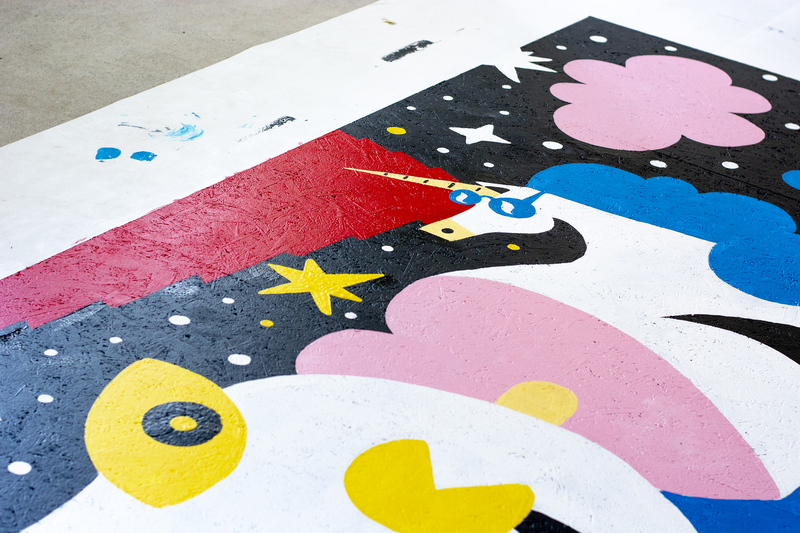 As part of the renovation undertaken by A Grid, a mural on the topic of unicorns was commissioned for their entry lobby and cafe. 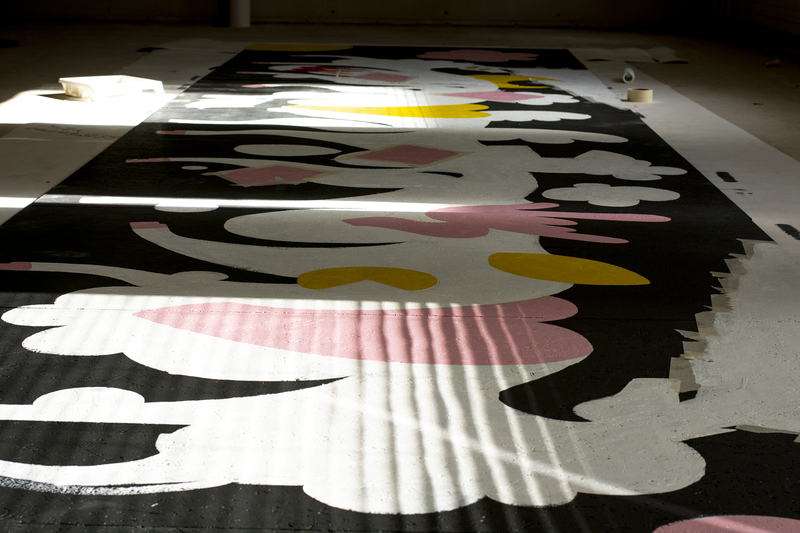 The mural is with the dimensions 1.8 x 9 m.